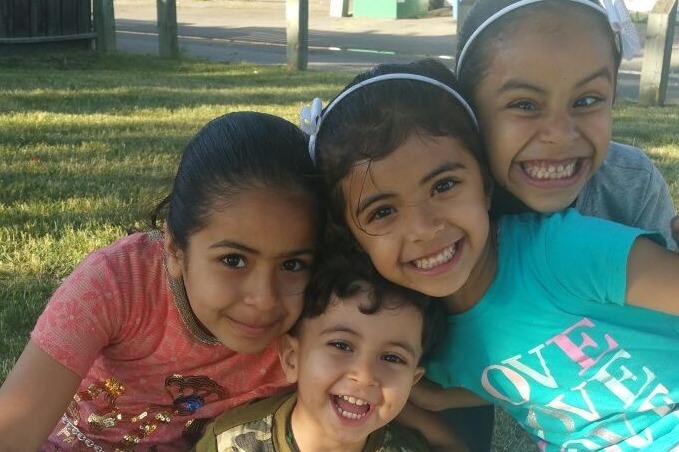 Alnaimy Family came to Canada late 2015 as part of the Syrian Refugee Resettlement Initiative. Shortly after arriving to Calgary, Alberta, the father Sami had to undergo an open heart surgery. 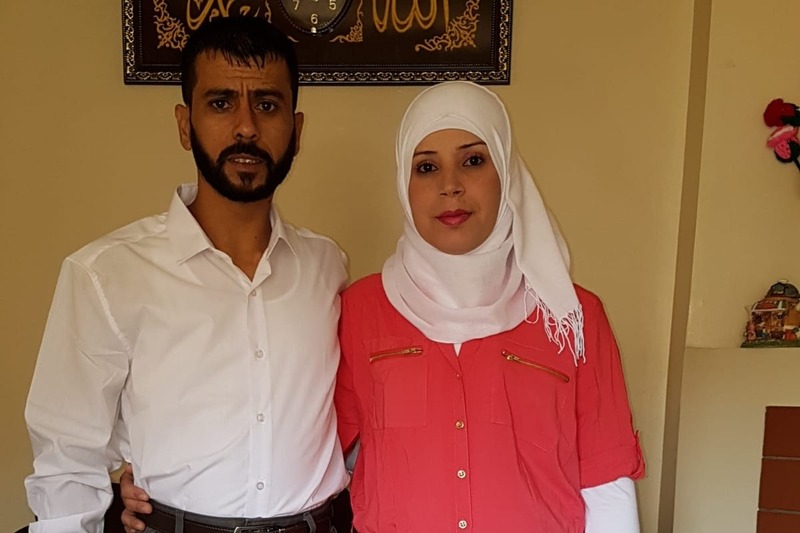 As soon as he started to slowly recover, the mother, Rounza was diagnosed with ALS (Amyotrophic Lateral Sclerosis), a specific disease that causes the death of neurons controlling voluntary muscles ( https://www.alsab.ca/symptoms). Early on, doctors had suspected that she would have 2-5 years before complete paralysis and eventually die. However, due to other factors, including age and previous health problems, it is clear that Rounza will unfortunately be around for only a few more months. Rounza and Sami have six beautiful children. Nirmeen (13), Madleen (11), Fatima (9), Sarah (8), Odai (4) and Niveen (2). 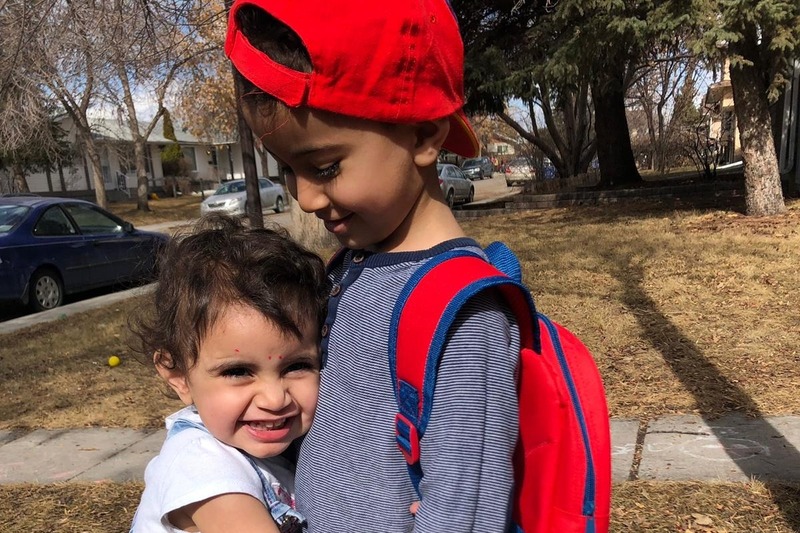 We need to raise funds to sponsor their grandparents and aunt who are currently refugees in Lebanon, to come and take care of the six children, especially when their mother dies, in Calgary, Alberta. Given that their father is also ill, the children need other family members to help them through grieving and take care of their basic needs. Community members have been kind enough to offer a few meals every once and a while. However, none of the children know how to cook, do laundry or even maintain the household. Normally, children their age are focused on school and playing with others their age. The two eldest daughters have been taking turns going to school every day. When one of them is at school, the other one is at home taking care of her younger siblings while Sami attends to his ill wife. Rounza has now completely lost the ability to move her legs, arms, hands, the ability to eat, swallow, speak or breathe on her own. She needs care 24 hours a day. That is why it is extremely important to help us bring their natural support system, to support their day-to-day lives. We have been working hard with immigration consultants, immigration lawyers and private sponsors to determine the cost of the sponsorship application. It is clear that the sponsorship will cost around 47,100 CAD. Mennonite Central Committee has pledged $10,000 for which we are very grateful. We now have $36,100 left. It is estimated that we will also need around $10,000 for airfare, and other expenses that will support the process of bringing the family members here. I have been the family volunteer ever since they've arrived. I watched them struggle in resettling. But I also watched their children grow and thrive as they learn English and go to school. I am hoping by sponsoring their grandparents, they will all have another chance in continuing to succeed and integrate, as they will go back to living somewhat of a normal life, and the two eldest girls can go back to school regularly. The family had a difficult time before coming to Canada. Once they arrived, it was a new beginning and they were ready to embark on a new life with a fresh mindset. 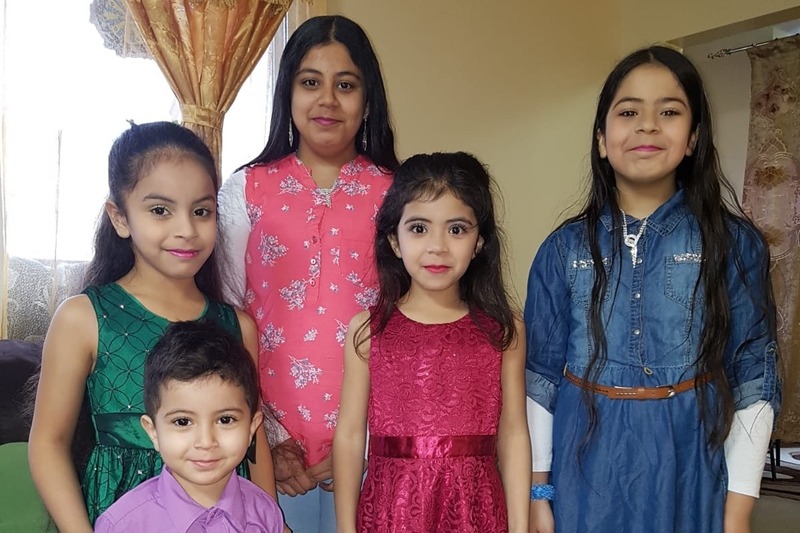 But they have struggled through every step of the way, and hopefully once the family members arrive to Canada, they can start a new chapter to overcome the different layers of struggle. We would like to thank you all for taking the time to read about Alnaimy Family. The family will be beyond grateful to have family members to help them during this difficult time and support them through what is yet to come. Every contribution, small or large, will make a difference. Thank you to each and everyone of you for helping us spread the word, and raise the funds necessary for the sponsorship process. Unfortunately, Rounza's situation has deteriorated much rapidly than expected. She continues to be in so much pain, and lost the ability to do anything at all. At first, we were able to communicate verbally. When she lost the ability to speak she still had movement in her hands and arms that allowed her to type what she wants to communicate. At the moment, she can no longer move her hands, which prevented her from communicated with us. Her husband Sami and I have to slowly spell out the Arabic alphabets and wait for her to nod at the letter, to eventually form a word. It's been a very difficult week on the family. Every donation makes a huge difference. I'm kindly asking you all to continue spreading the word, and sharing their story. Even though Rounza's life is coming to an end, she still has six beautiful children that deserve to live a happy life. They all deserve to be loved and cared for, so help us bring their grandparents here to allow them their most basic right. Thank you all again. This campaign would not have been successful without the collective effort that each one of you brought these past three days.